With fine grilled filets of catfish, new potatoes and a lime aioli I opened this beauty. 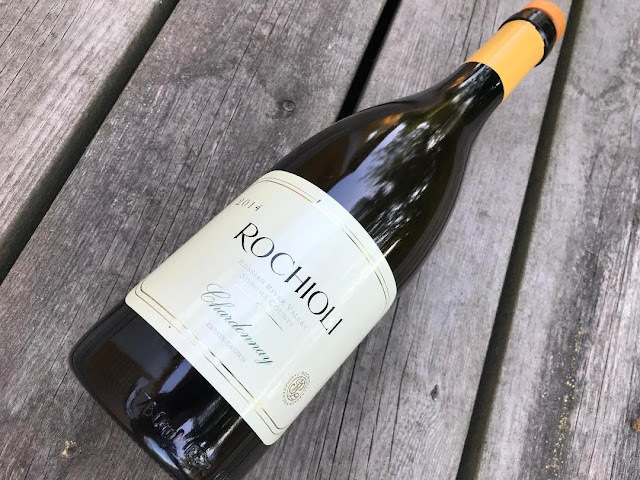 This Russian River Valley Chardonnay sports an open, direct yet deep and complex nose with notes of dry butter cookies, candied lemons, passionfruit and sweet minerals. Ripe, rich and very yummy. This is a big mouthful of ripe, lively, forward Chard with a firm backbone and notes of lemon meringue, dry pineapple, smoke and lots of chrushed rocks in the long lasting, structured finish. Very, very good. Drinking great now and the coming 6+ years.